I have a beautiful Airedale Terrier named Hayley Mills after a childhood favorite actor. I also have an adorable mutt named George Bailey after Jimmy Stewart’s character in the classic It’s a Wonderful Life. 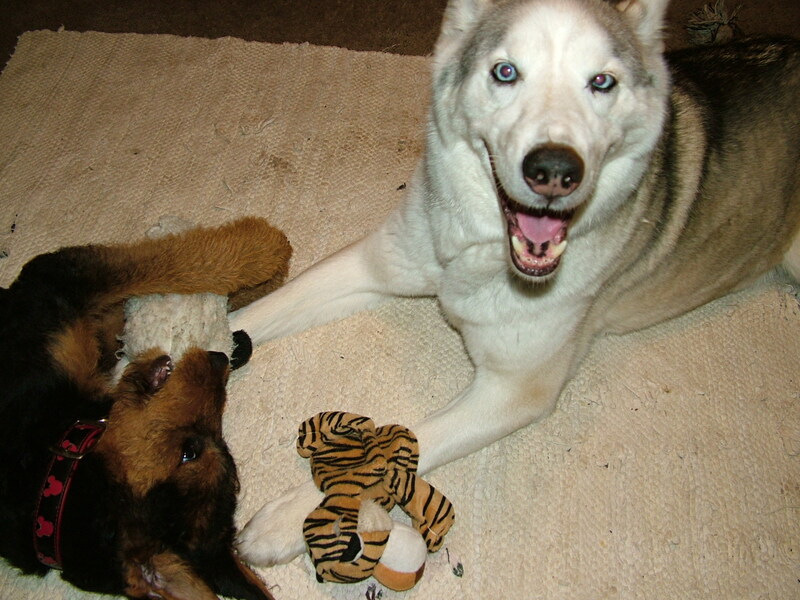 These two totally opposite doggies are so much fun and great friends. Couldn’t have picked better furry companions and so gentle with kids of all ages. This entry was posted in Random and tagged Colin Firth, companions, dogs, friends, George Bailey, Gilmore Girls, Hayley Mills, hope, Jimmy Stewart, love, NaBloPoMo, Patricia Heaton, The Middle on November 15, 2013 by Cate B. Here we are on day five of the blogging challenge blogher.com and I’m doubting myself. I am blogging at night for the following day which totally puts me out of sinc. I’m doing this because I am out of town helping with my grand daughters who are 2.5 years and 2 weeks. My back hurts. I will be here until Thursday morning – and very glad I am here. Today’s prompt is: Tell us about your writing space. Where do you write your blog posts? I chuckle over this one. I had set up a lovely work space in a spare room where I have a twin size bed that is rarely used. I also have an old tall chest – or maybe it’s a chiffarobe. I just love saying that word, chiffarobe, ever since I first read To Kill a Mockingbird. Chiffarobe. It must be said with a southern accent and only two syllables. My piece of furniture opens up a desk area with ample writing space and several little drawers and cubbies. It’s a nice piece but needs a little fixing. I had set it up with a lovely lamp and all my creative tools including Eve, my faithful Macbook. I loved this room. Then we moved to a two bedroom house. This house is plenty big enough for my husband and I but that made my work space the guest room and it seems our grand-daughter was over often. We would rather have her than anything else in there, but…. I then set up a corner in our bedroom which, as I think most creative people will understand, became a catch-all. So my work space is now the kitchen table. I actually love working at the kitchen table because I have a lovely view of the backyard and my dogs playing. It is peaceful. And the coffee pot is right behind me. Blogging everyday is very challenging for me. I have a lot of ideas running around in my head, which is good, considering just last week I was a blank slate. But blogging and staying in my son’s apartment for three nights away from my bed and hubby and dogs is very tiring. 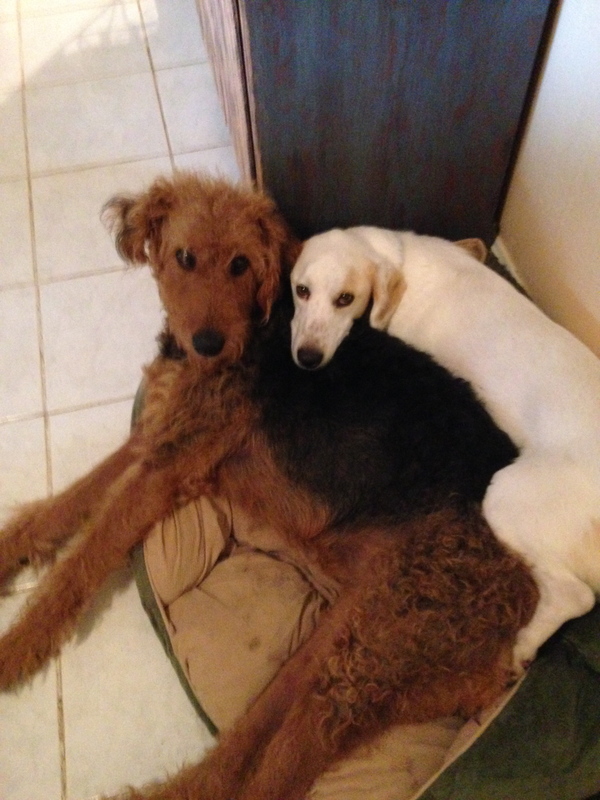 Although, the best thing about it is my little Lucy and her new sister Penny June. I love them more than words could express. So on that note…… I bid you a good night until tomorrow. This entry was posted in Random and tagged blogging, challenging, chiffarobe, dogs, George Bailey, grand childres, Hayley Mills, Macbook. desk. 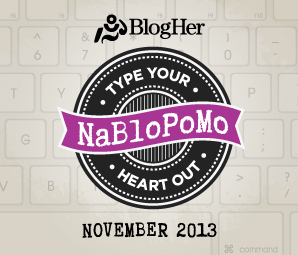 space, NaBloPoMo, To Kill a Mockingbird, writing, yards on November 5, 2013 by Cate B. Being a child of the 50’s and 60’s , to me, was a magical time. Television was fairly new and in black and white for our home. I say magical because it was as I look back. Perhaps not so magical living through it. Our family faced tragedy early on and things were a bit, well, today we would say dysfunctional. Back then they would say, actually, they wouldn’t say! Hahaha. My personality was a plus for me. I tend to be a bit cheery and humorous and I know that helped me through a lot of tough lonely times. Having an active imagination helped greatly also. So, today, the 31st of May in the year 2013, as I sit in a dark gloomy kitchen due to the fact that it is raining once again in the mid west of the US of A, I was thinking about perspective and that reminded me of Pollyanna. Those of you who are not familiar with the Disney movie starring Hayley Mills (my all time favorite actress and my dog is named after her) then I will give you a little insight. Pollyanna was the daughter of a missionary family. Poor, but happy. She found herself orphaned and sent to live with a very wealthy aunt who was also the matriarch of a small town. Not happy people. Aunt was unhappy and therefore the town was due to her controlling. Pollyanna comes along with a very positive approach to life and it un-nerves people. We all know at least one Pollyanna – that person who is perpetually cheery or finds the good in everything when you want a pity party. Who invited her anyway??? But, Pollyanna’s attitude wins out. Her attitude rubs off on people. And I think her attitude it right. So, for all of us (I said us) who want a pity party today……. here is a little Pollyanna clip of The Glad Game to help us see life from both sides. This entry was posted in Random and tagged Disney, glad, happiness, Hayley Mills, hope, joy, perspective, Pollyanna on May 31, 2013 by Cate B.
I am so thankful to God for my dog. I can’t remember when I first desired to have this breed of dog. I just feel like I “always” wanted one. I know I wanted this breed back in the late 90s when we bought a house. But, my kids and my husband insisted that a Siberian Husky was definitely the way to go. So, we drove about 2.5 hours to the Pocono Mountain area of Pennsylvania and bought a 3 month old Husky. He was equally afraid of me as I was of him. 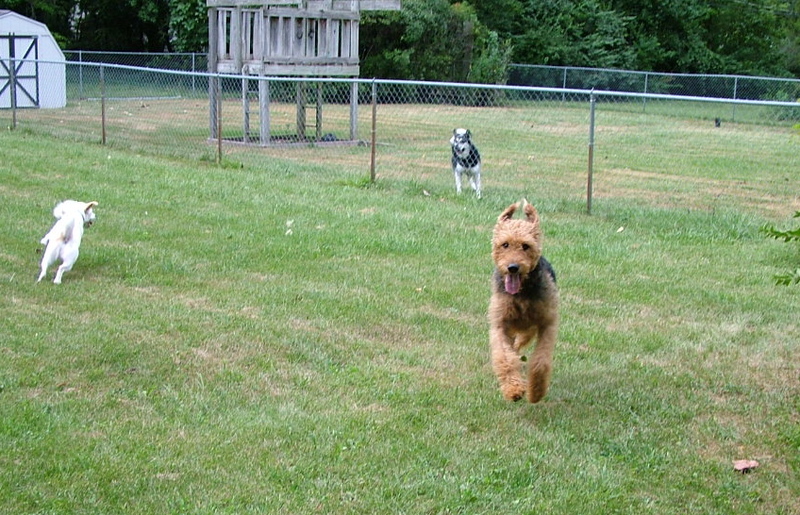 But 13 years later when we had to put him down we reminisced of his life with us. I loved him. He was beautiful, faithful, somewhat obedient (when he wanted to be), never sick a day in his life and brought us 13 years of joy and love. Now you may be wondering what kind of dog I wanted. 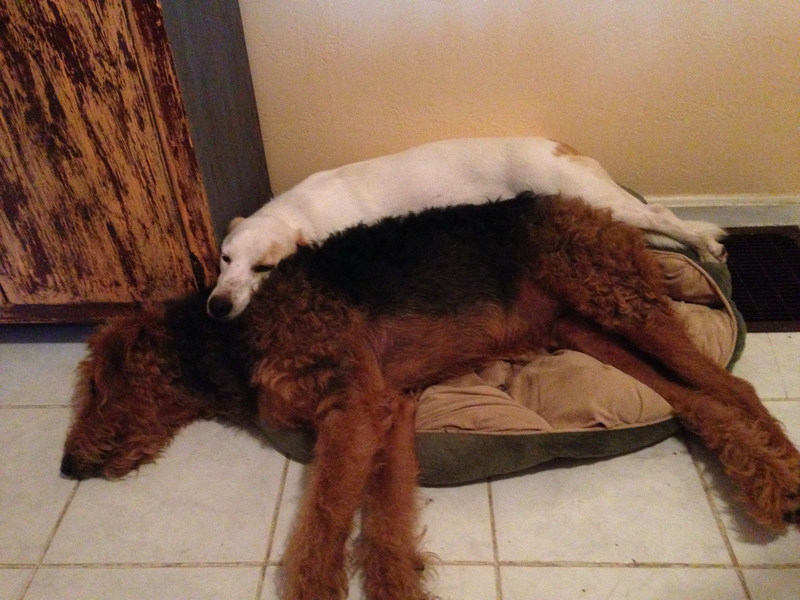 I wanted an Airedale Terrier. I don’t think I ever met one until about 6 years ago and that was after a long time desire to have one. I guess somewhere I saw pictures of those dark brown teddy bear eyes. I even asked our vet about the breed and he told me they are very difficult dogs. He said they needed a lot of training and it had to be early on or forget it. 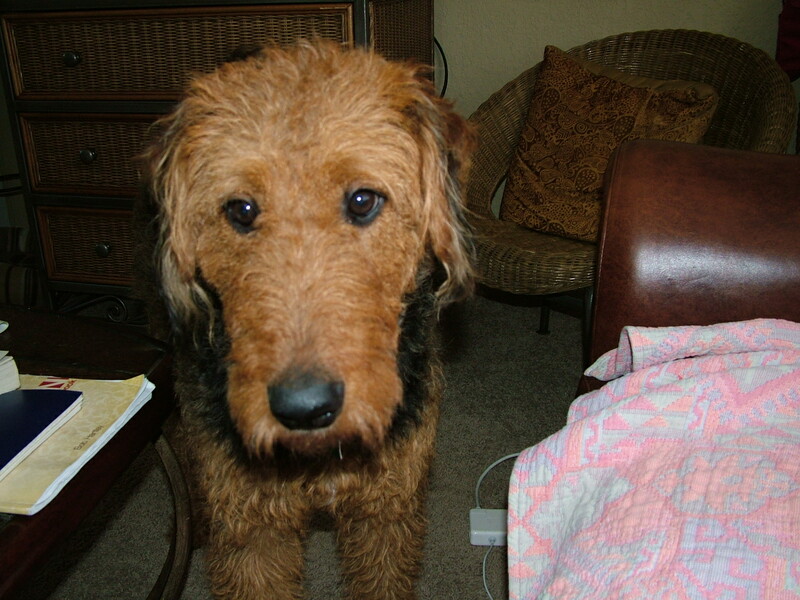 It was after viewing an episode of the Gilmore Girls – the one where Lorelei adopted a dog and named him Paul Anka (after the 50s-60s singer) that I announced that I wanted an Airedale Terrier named Hayley Mills after my favorite childhood actress. 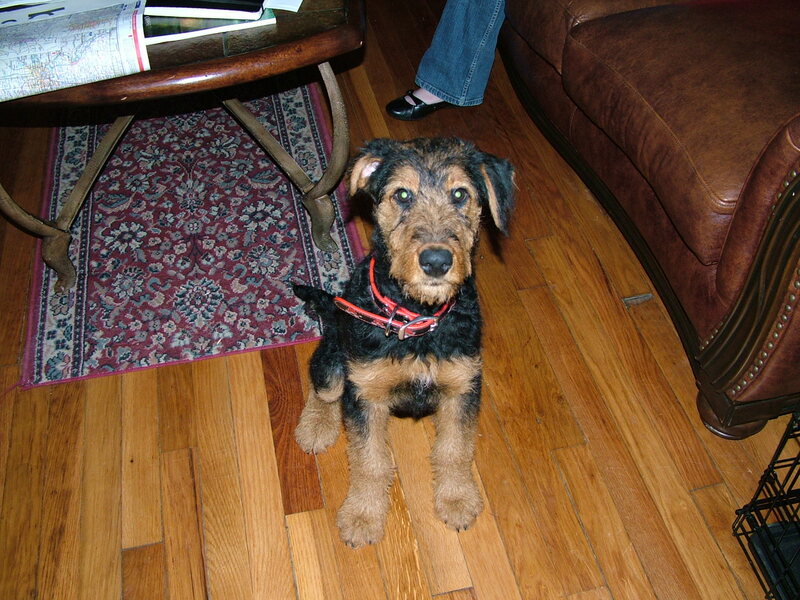 Well, November of 2009 I brought home an 8 week old Airedale named Hayley Mills. It was love at first sight. This dog has made me laugh and made me cry because of pure love for each other. She is by far the smartest dog I’ve ever had and there are moments I really think she is human. Those beautiful teddy bear eyes are deep and speak a thousand words and have totally won us over. I do thank my God for her. I feel I was given a gift and a fulfilled dream when I brought her home. Dogs are truly one of man’s best friends. 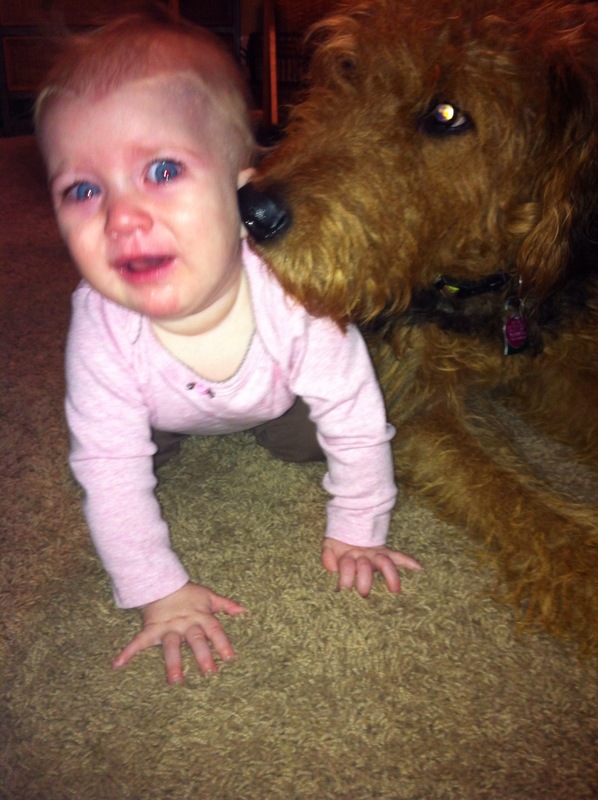 This entry was posted in Random and tagged Airedale Terrier, Gilmore Girls, Hayley Mills, man's best friend on June 6, 2011 by Cate B.